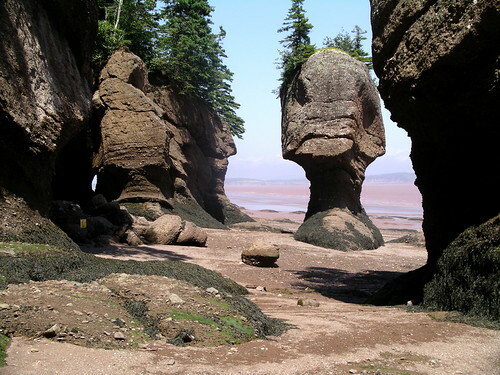 These strange rocks called Hopewell Rocks (locally known as "Flowerpot Rocks") are rock formations caused by tidal erosion. 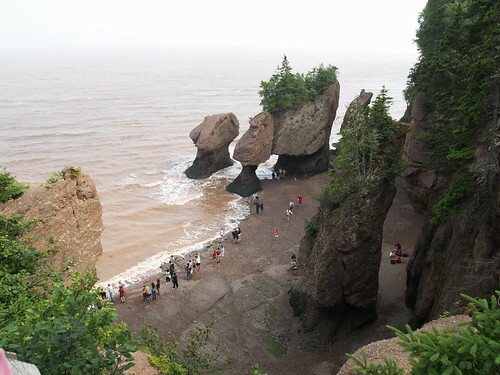 Located in on the shores of the upper reaches of the Bay of Fundy at Hopewell Cape near Moncton, New Brunswick, Canada, these rocks are subjected twice a day to very high tidal waters. 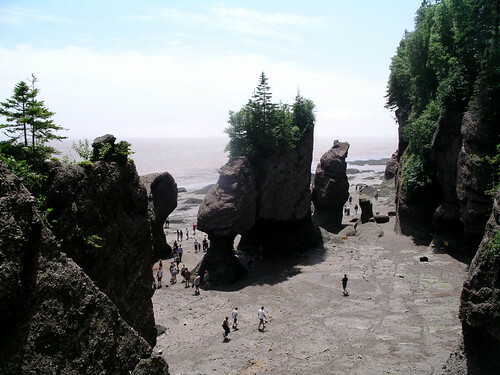 The Bay of Fundy is considered as having one of the the highest vertical tidal range in the World with a differential of about 14-17 metres between high and low tides. During the 12.4 hour tidal period a whopping 115 billion tonnes of water flow in and out of the bay and such a large volume of water flowing in to and out of the Bay modifies the landscape surrounding it. 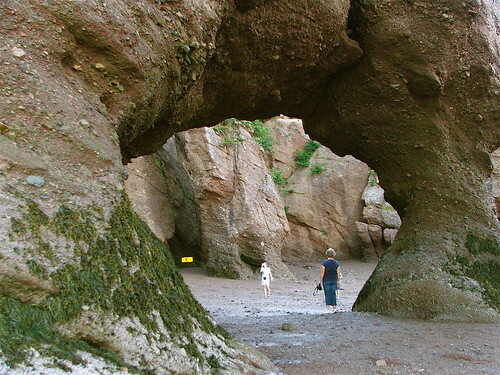 During low tides one can easily explore the base of the rocks and during high tides it is possible to paddle a Kayak in the rising waters.